Early Season’s Greetings fellow Bakers! This is Robin over at Craft Sisters. 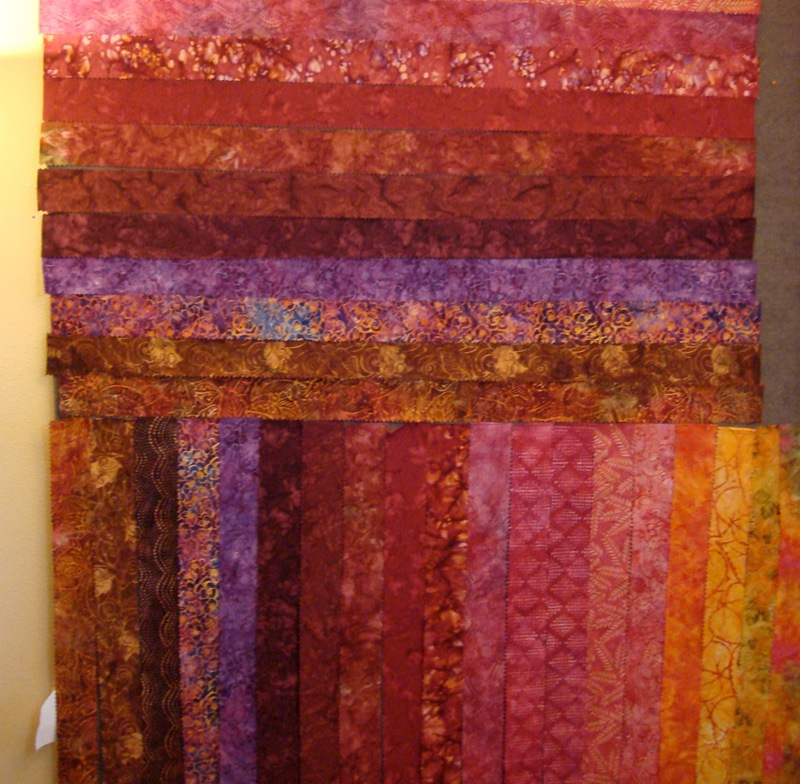 Here’s a simple idea for a winter/holiday wall quilt using jelly roll strips and a fat quarter. It’s so great to be sharing it with you. 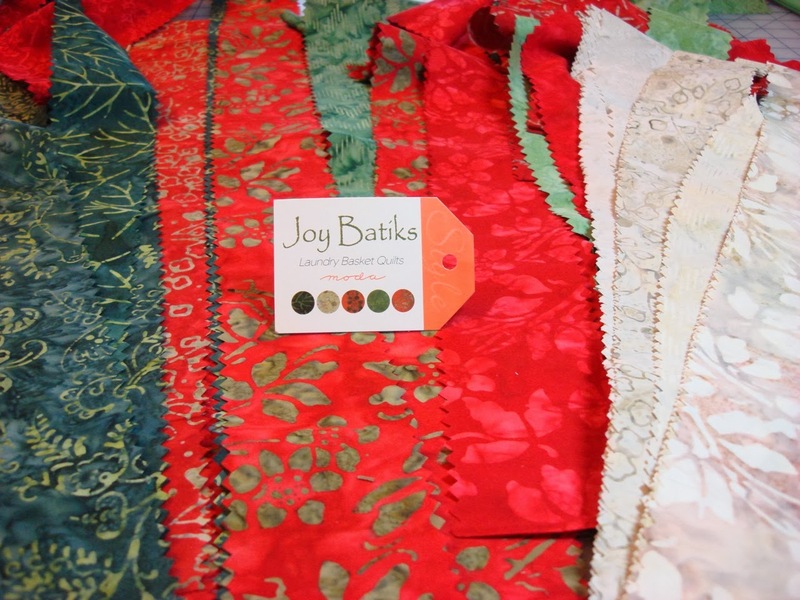 Joy Batiks from Laundry Basket Quilts delivers the perfect colors for this and I love red (makes it an easy choice for the background for me). The greens are also gorgeous or a combo could be great too. 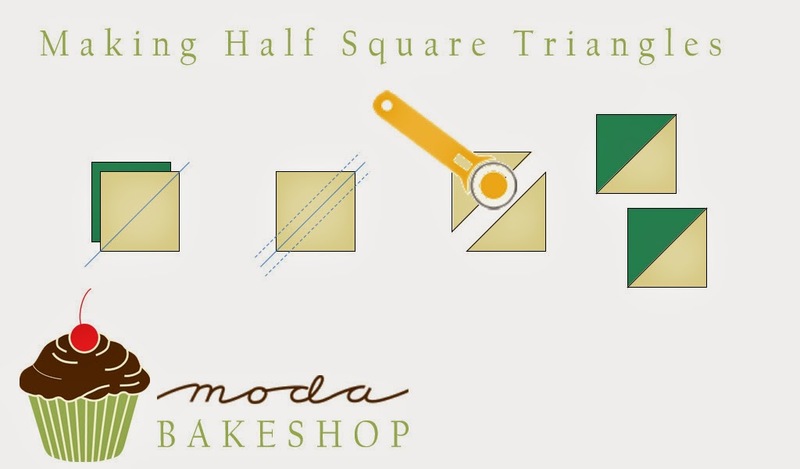 There are lots of things you could do with this design and some other ideas are suggested at the end of the recipe. Hope you have fun with it. 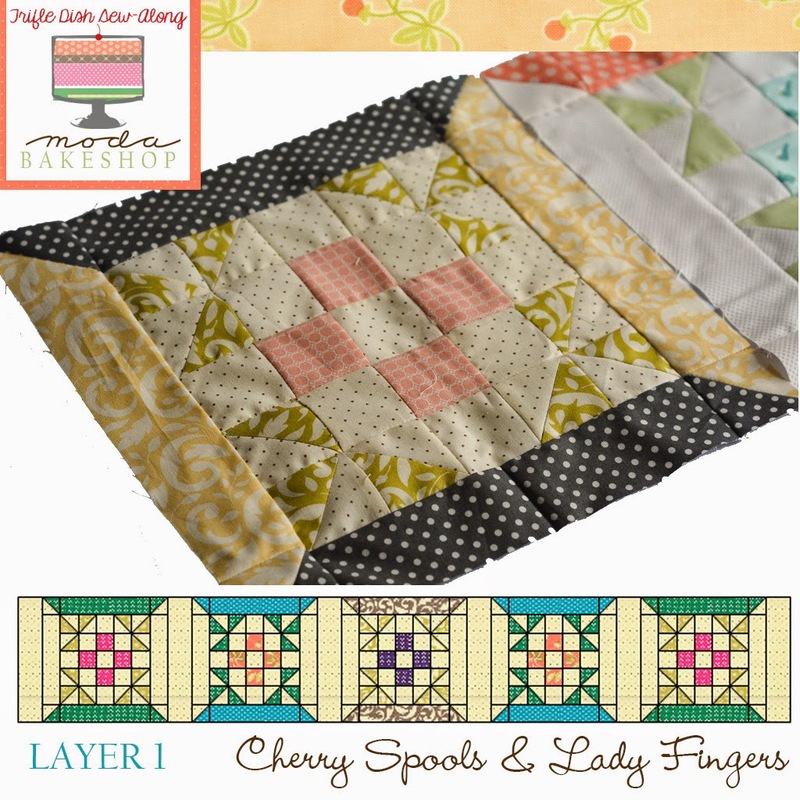 Choose 10 strips from jelly roll in high contrast to snowman circle fabric. Cut strips in half and remove selvedges. 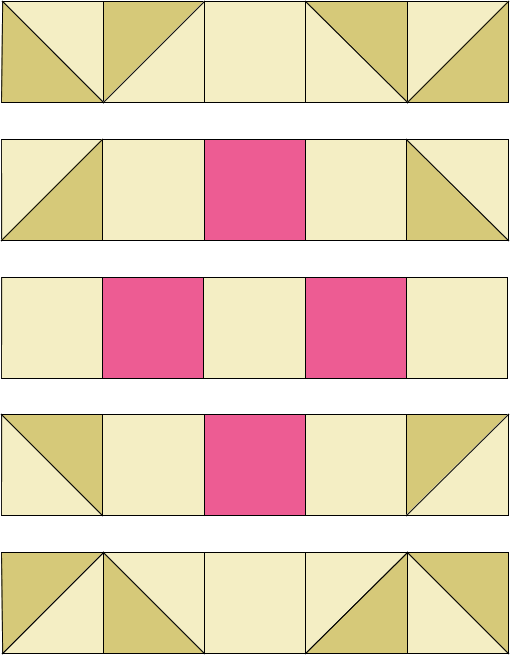 Sew 10 half-strips together lengthwise using 1/4″ seam allowance. 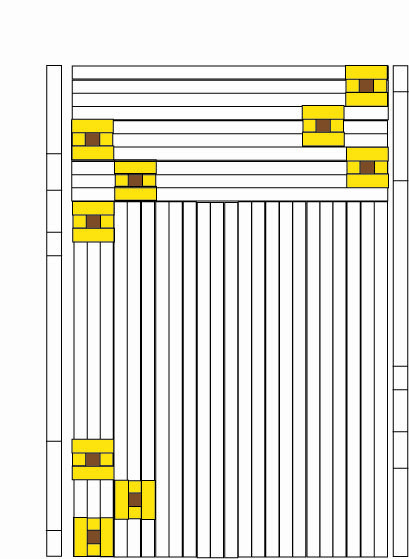 Press seams to one side. Save the other half-strips for another project. Choose two more strips for borders. 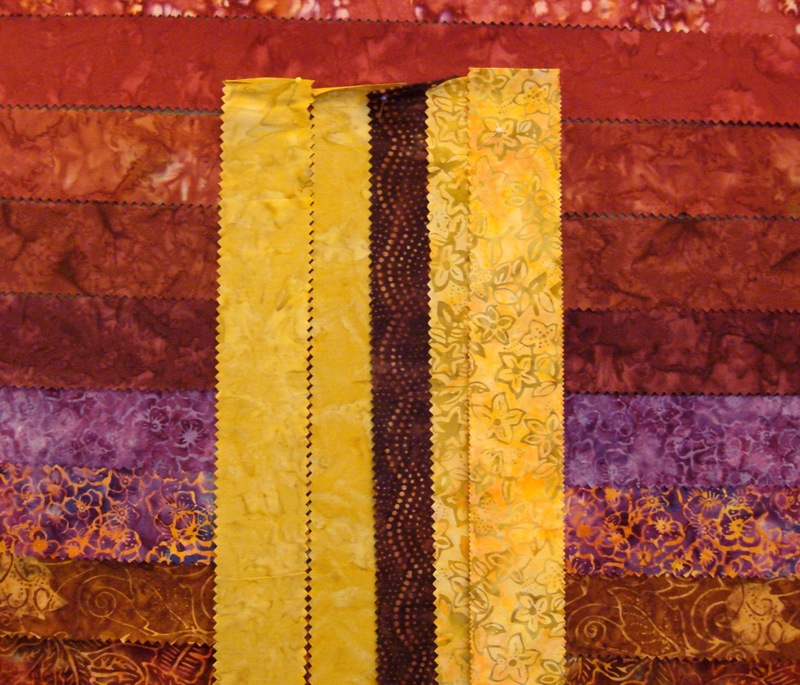 Sew border strips to sides of background. Press seams out. Trim and square. 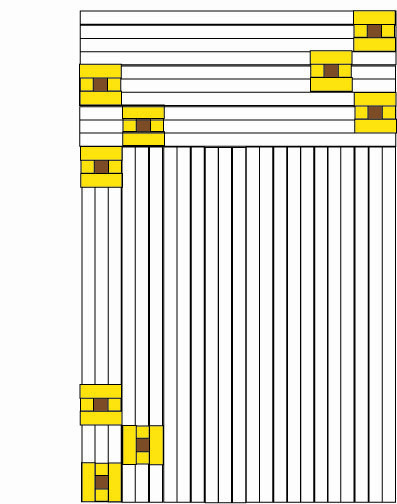 Sew border strips to top and bottom of background. Press seams out. 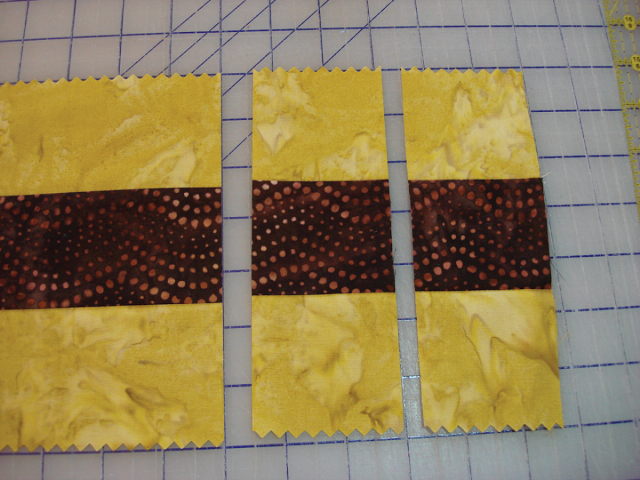 Trim and square and set background piece aside. 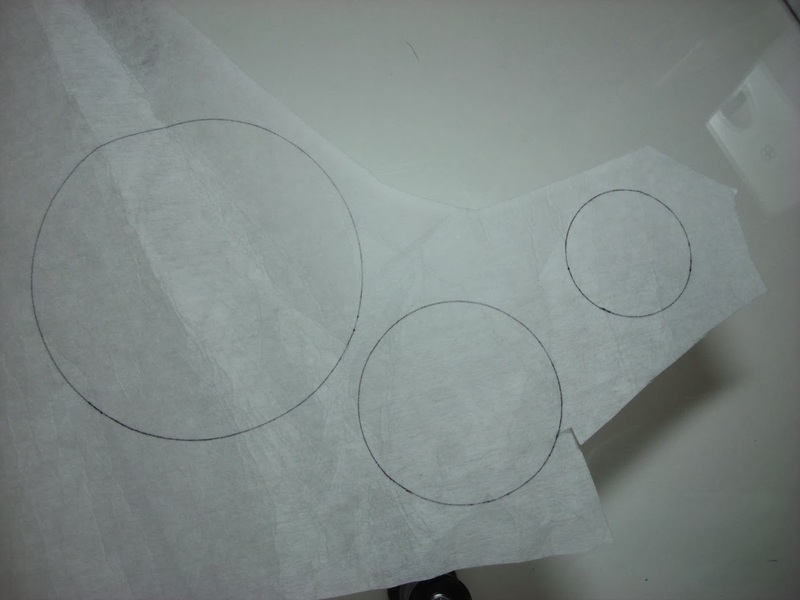 Using the circle templates found in the Printer Friendly Version, trace 1, small, medium, and large circle on to sew-in interfacing. Leave an inch of space between the traced shapes. 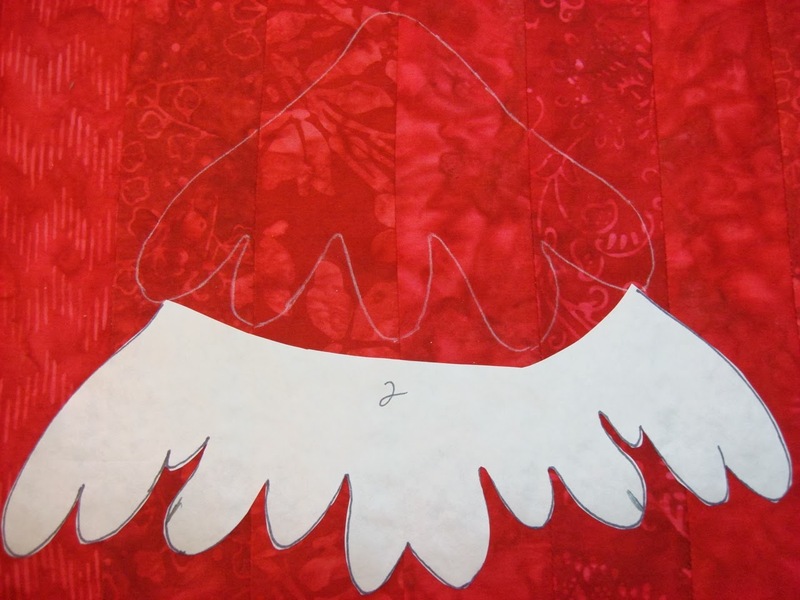 Place and pin interfacing circle on right side of the snowman fabric. Shorten your stitch length (15-18 stitches per inch) and sew around circles on the drawn line. The needle down feature of your machine really helps here with staying on the line, stopping and pivoting. 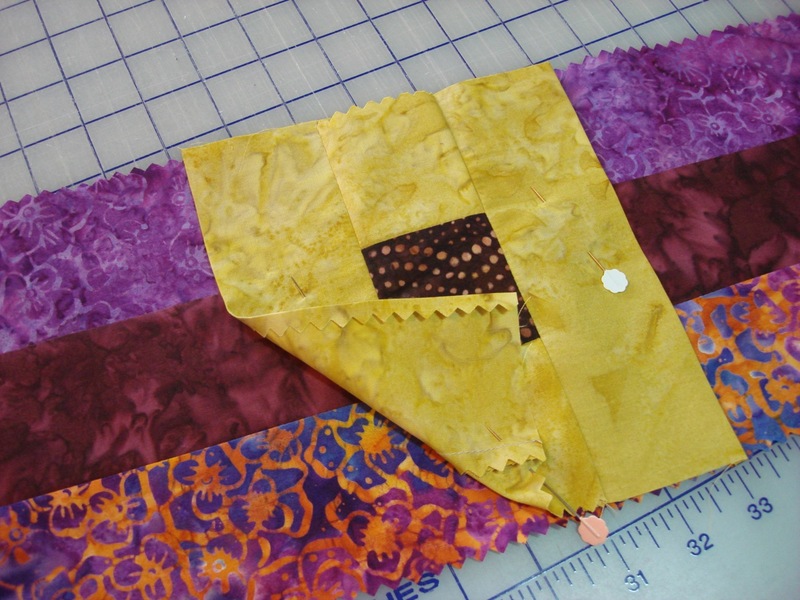 Trim the circles leaving 1/8″ – 1/4″ seam allowance outside the drawn lines. 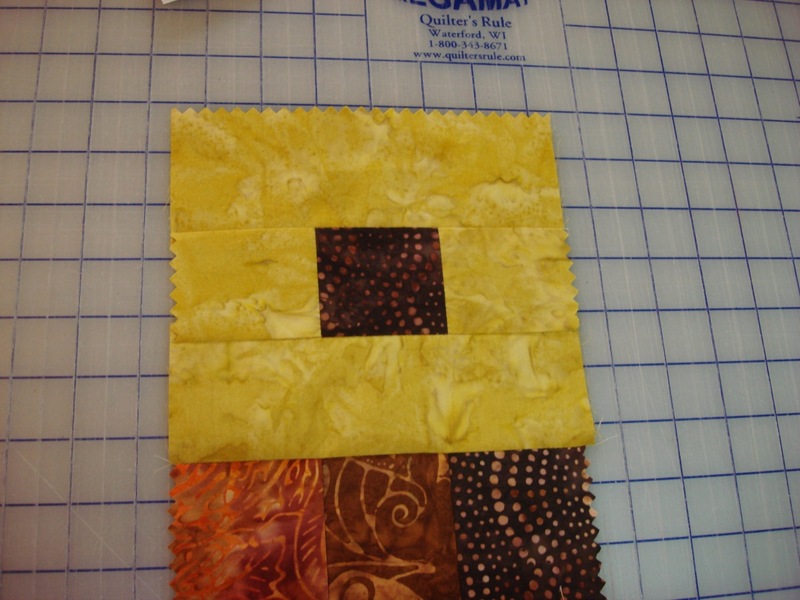 Cut a center slit in the interfacing only of each circle. 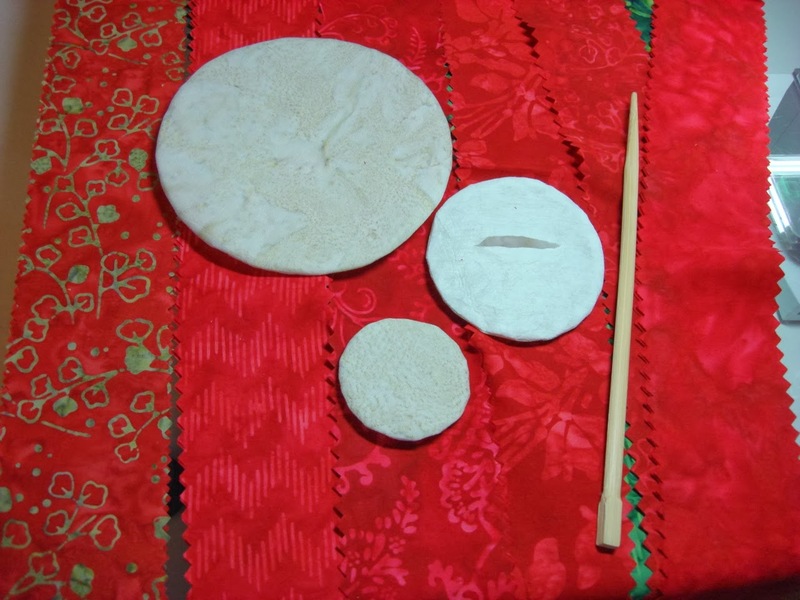 Turn circles right side out and use a chop stick to smooth seams. Press. I love this method of appliqué because it adds a bit of dimension and is a stabilizer for the embroidery. 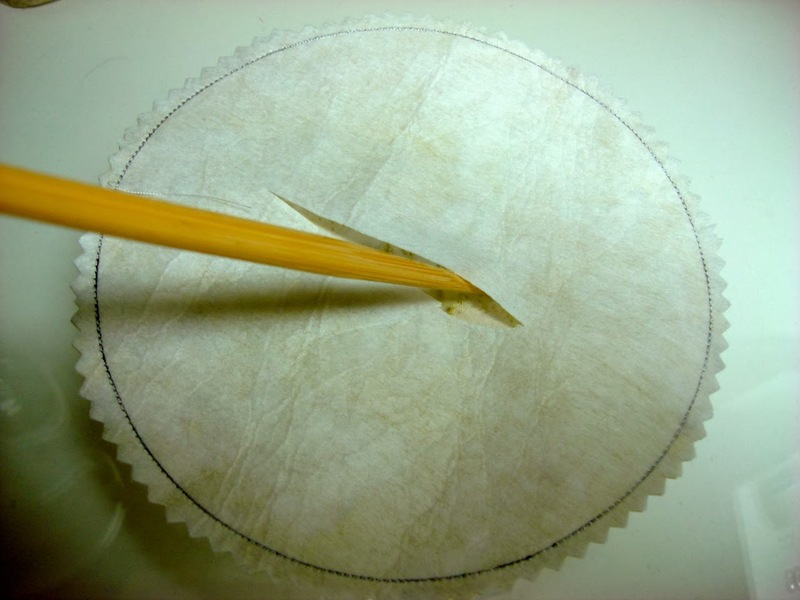 Note: It’s easy to remove the interfacing if you don’t want it by following these steps: Use water soluble thread in the needle and regular thread in the bobbin to sew around the circles. 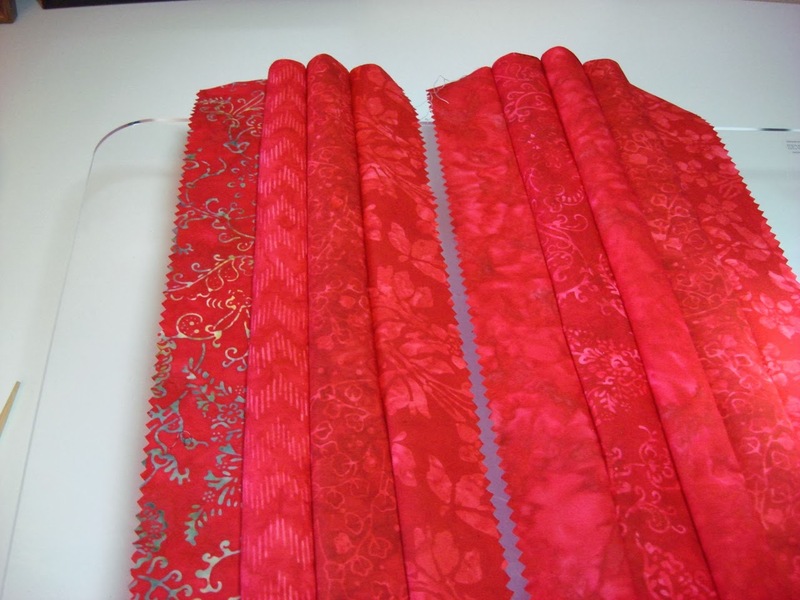 Trim and turn circles right side out and smooth seam with chopstick. Lightly spray circle edges with fabric sizing. 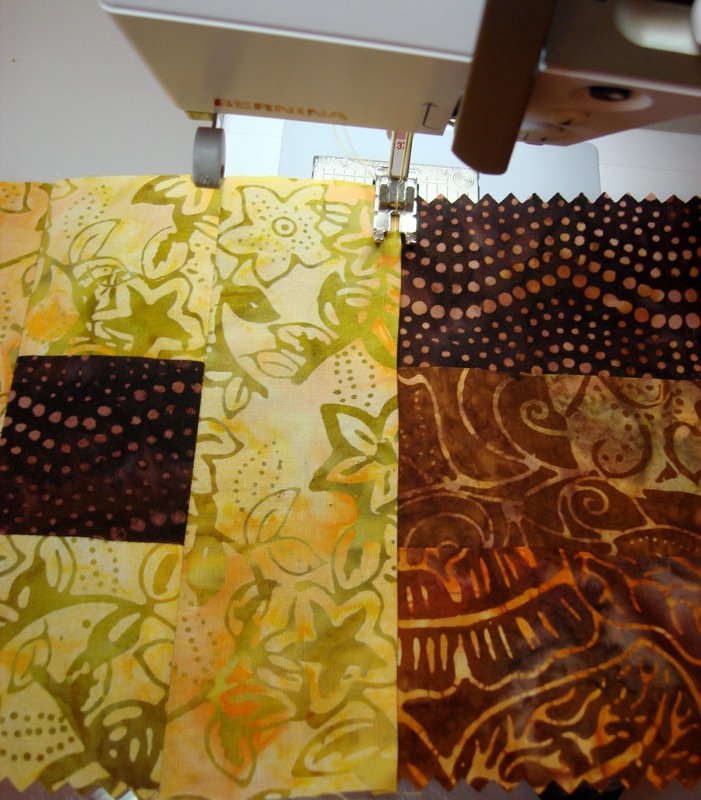 Press edges with steam and interfacing will lift away. Edges will still be turned under and bobbin thread can be removed or remain to help maintain edges. 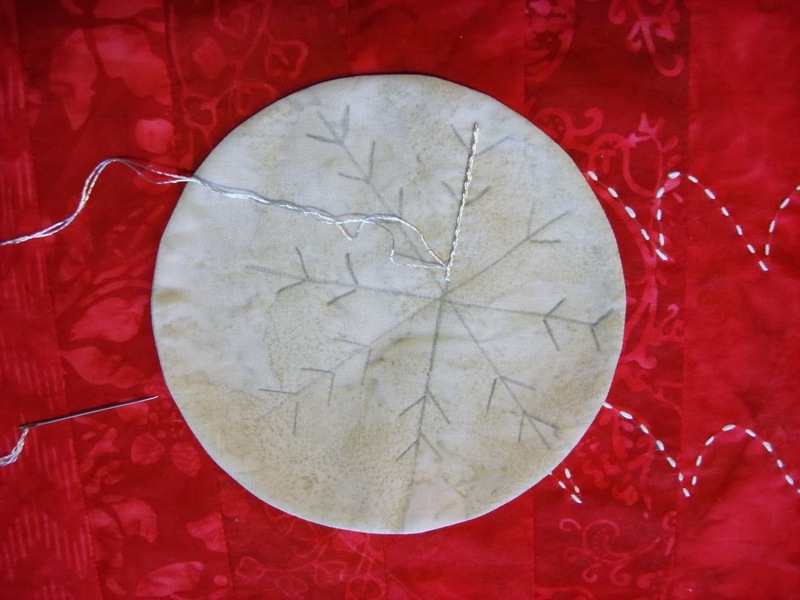 Use a window or a light box to trace snowflake embroidery lines on each circle. Embroider the snowflakes using two strands of rayon embroidery thread (rayon thread adds some shine). 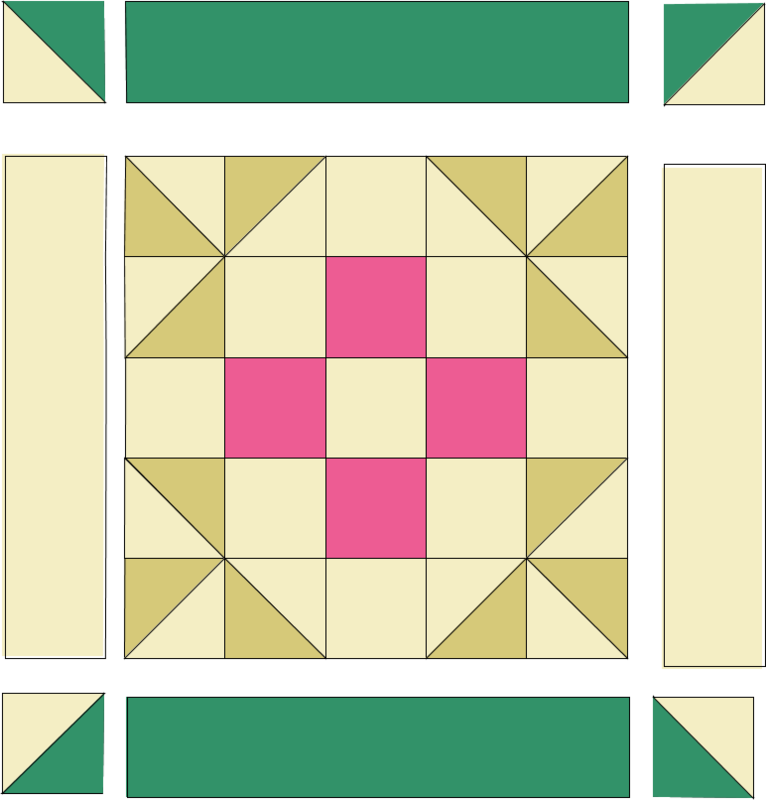 Stem or outline-stitch each snowflake. 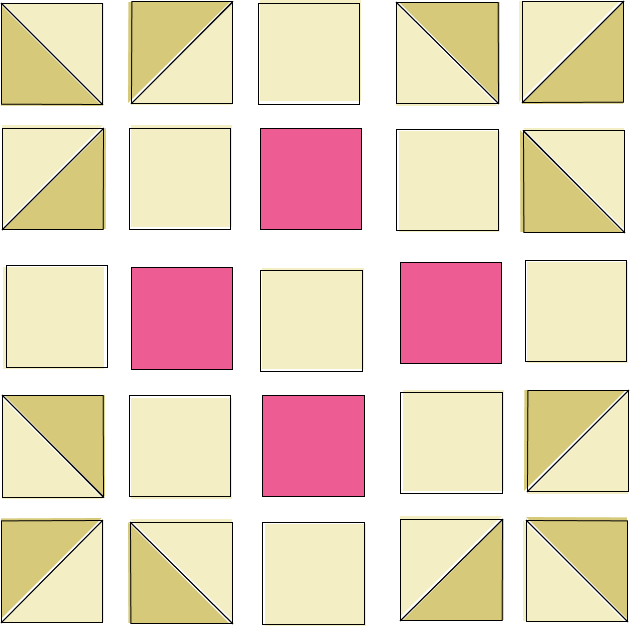 Couch or use fly stitch for the snowflake cross pieces. Crystals get ironed/pressed on after snowman is appliquéd to background. Trace numbered tree lines on to freezer paper, leaving generous space between lines. 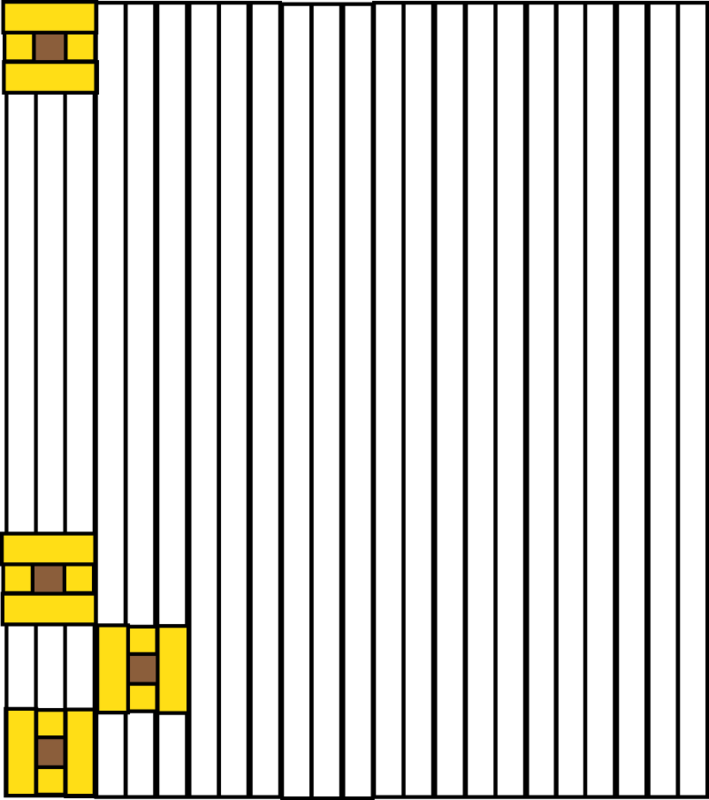 Cut out the separate pieces. 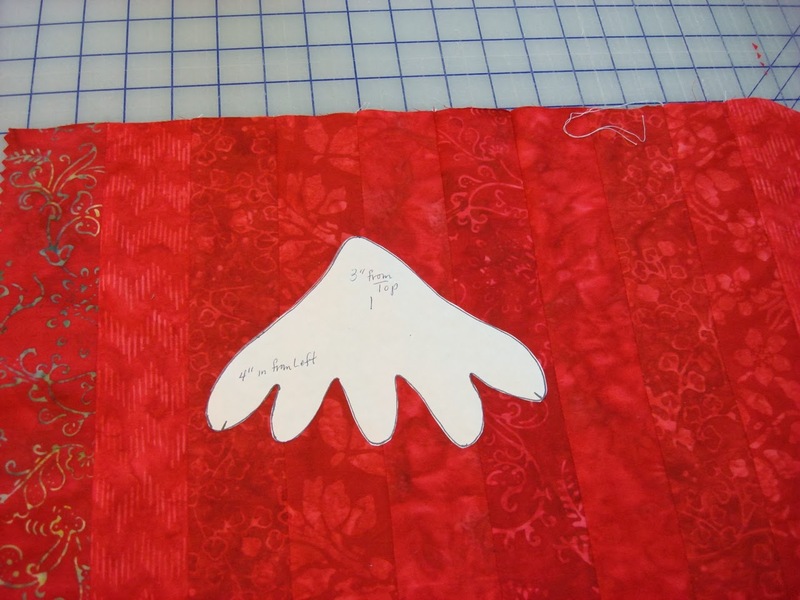 Place top of tree shape on to background fabric 3″ down from the top edge and 4″ in from left edge (not including borders). 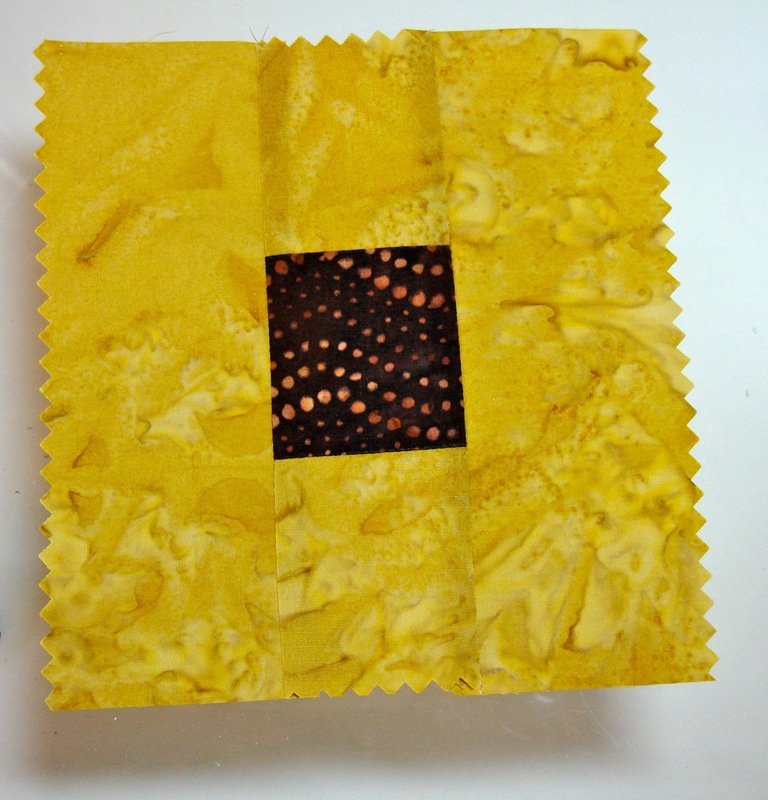 Iron the shape with the waxy side of freezer paper down. Trace around the shape using a white chalk pencil. Peel off the paper shape. Press line #2 in place and trace. Continue with remaining pieces until tree is entirely traced. 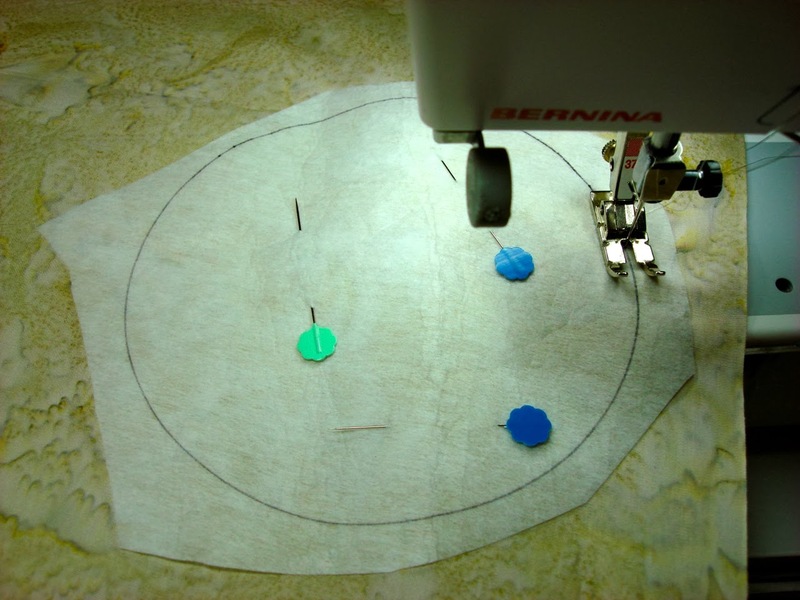 Pin circles in place and hand or machine stitch using your favorite method. 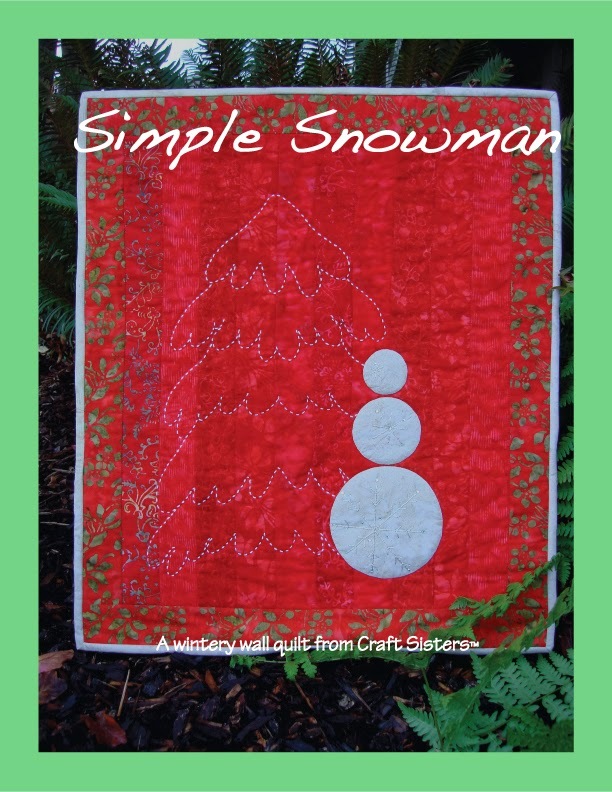 You won’t need to stitch the entire tree because the snowman covers part of it. There are a number of ways to stitch this tree. 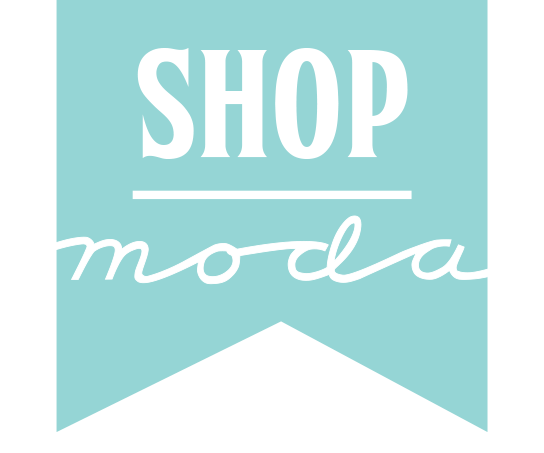 Choose what you like best and stitch it – whether it is outline embroidery, bobbin work, Sashiko (Japanese surface embroidery), small ric rac. I opted for Sashiko. Here are a few basics to get you started. It’s fun and relaxing and no hoop is needed. 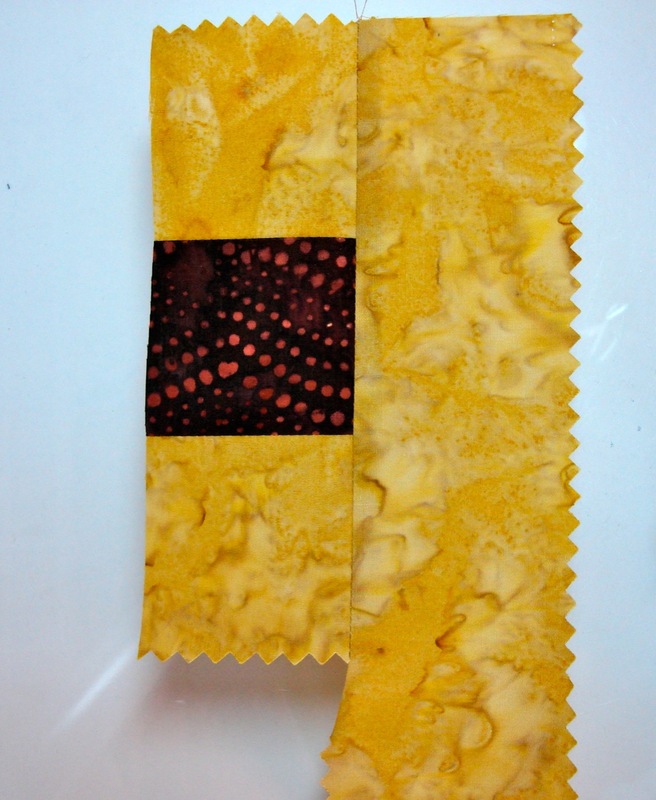 Use a Sashiko needle and Sashiko thread. The thread stands out on the surface and is easy to work with. Sashiko needles are longer than regular embroidery needles. Cut the thread approx. 20″ and knot one end. Load needle with several stitches before pulling it through. Pull fabric taught so there isn’t any puckering. Try to make all of your stitches and spaces between the same length (think rice grains). 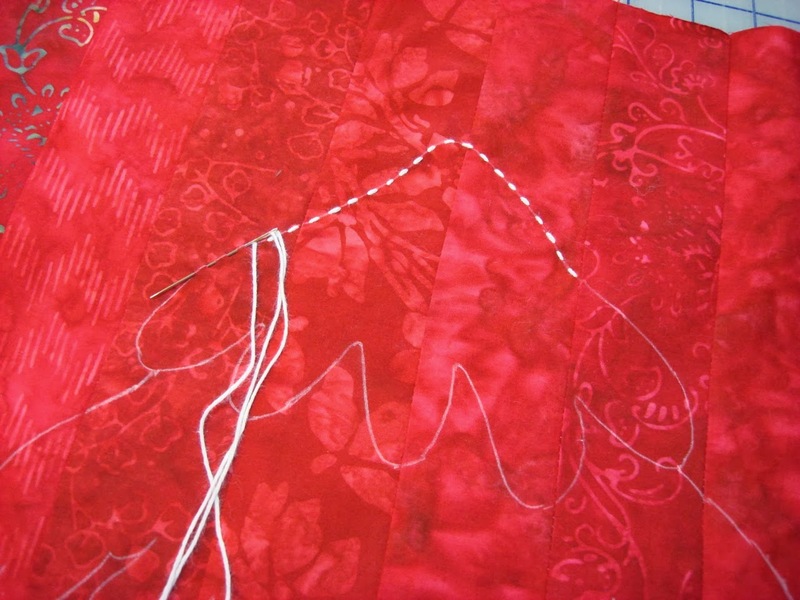 End stitches in corners to define a pattern sharply. Space stitches so they don’t touch or cross where pattern lines connect. Knot on back when you finish. 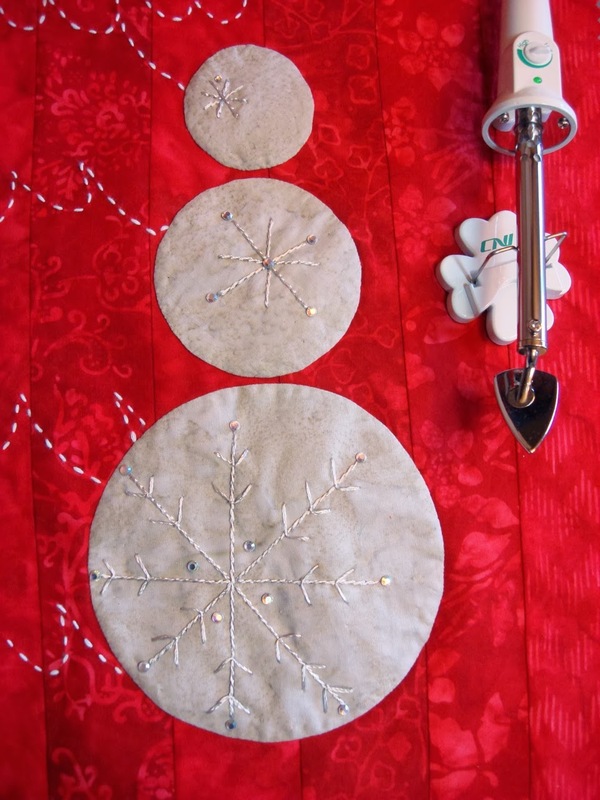 Place press on crystals on to snowman circles as shown on template and in photos. Press each one following manufacturer’s directions. A small craft iron is helpful for this step (easier to control and not bump crystals out of place). 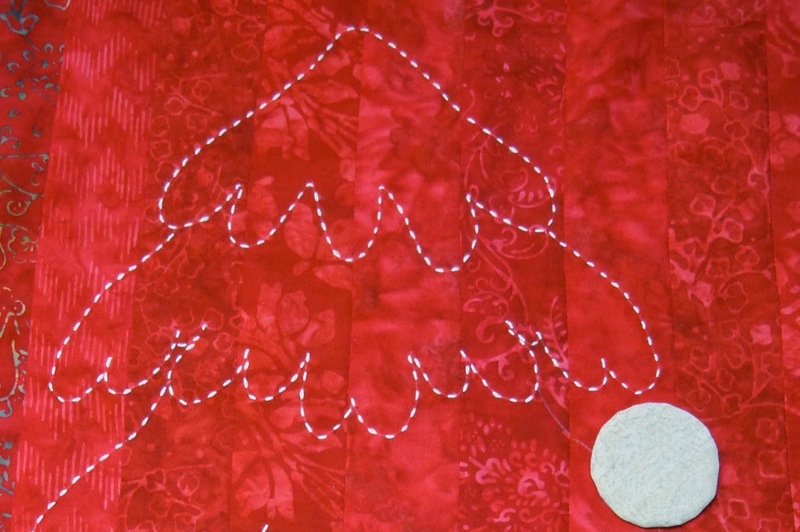 Make a quilt sandwich (spray baste or use fusible batting) and quilt around the tree shape close to all Sashiko stitches and around snowman circles. 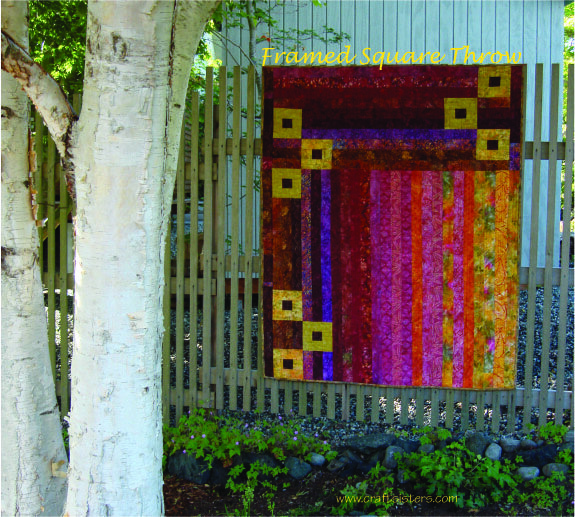 Quilt vertical lines in the ditch in remaining background strips. 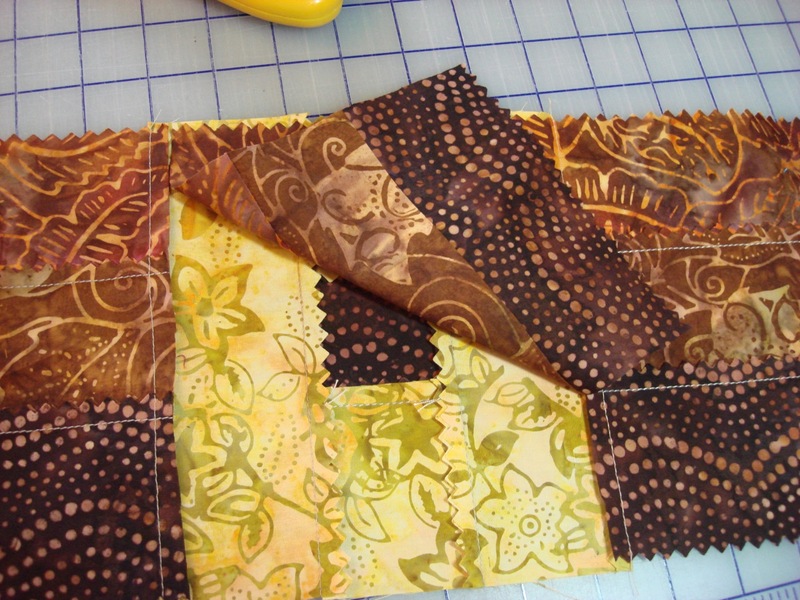 Trim and bind using left over jelly roll strips. Add hanging strip to back and hang in a noticeable place. 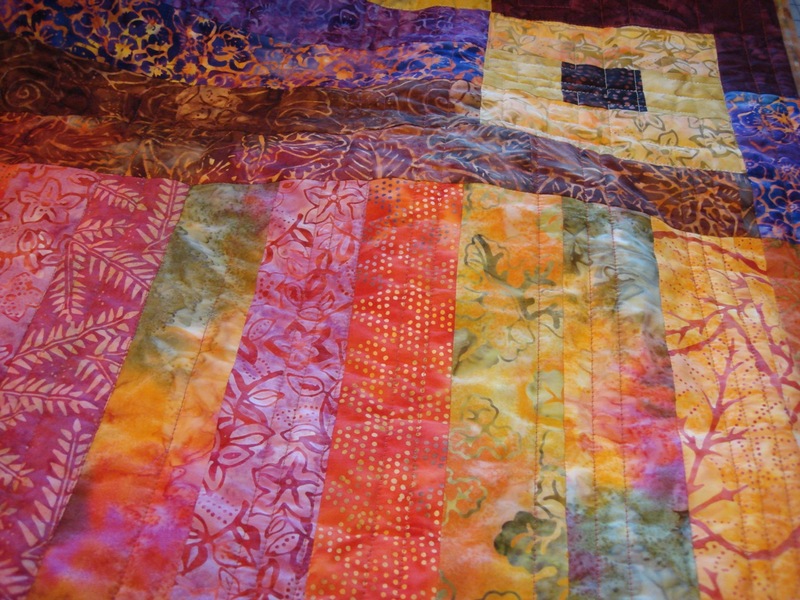 Or… add one more border and use it to wrap quilt around an art canvas. Staple to secure and add picture wire to hang. 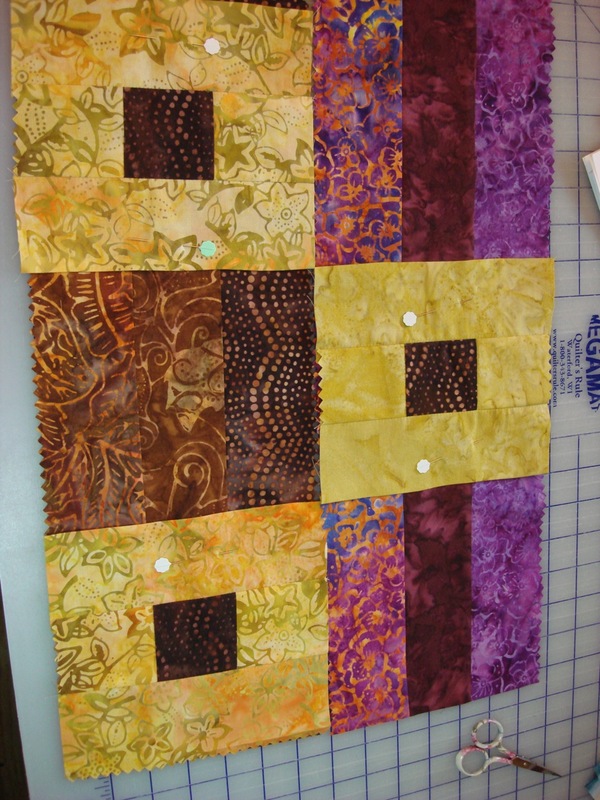 The intent for this quilt was to keep it very simplistic but a lot more could be done with it. 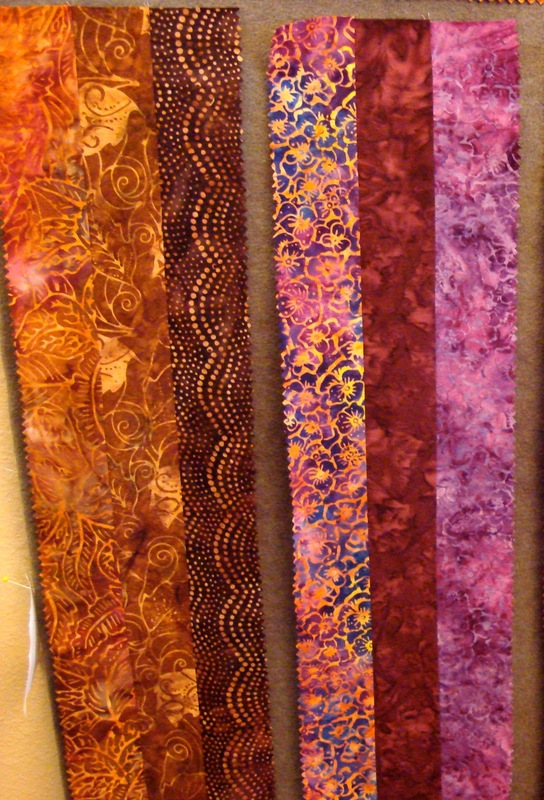 Here are a few more ideas to try using the rest of your jelly roll. 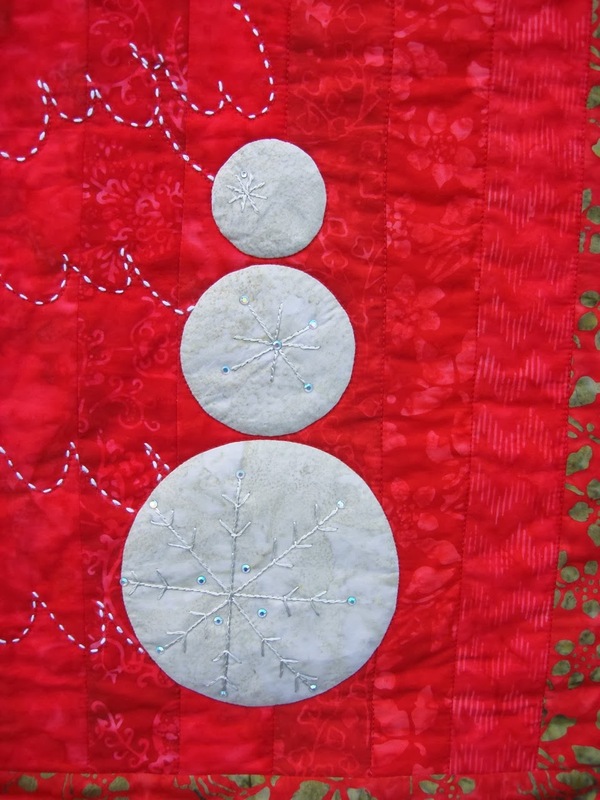 Make it a much larger quilt using the whole jelly roll for background, enlarging the snowman and quilting a fancy holiday motif inside the circles. 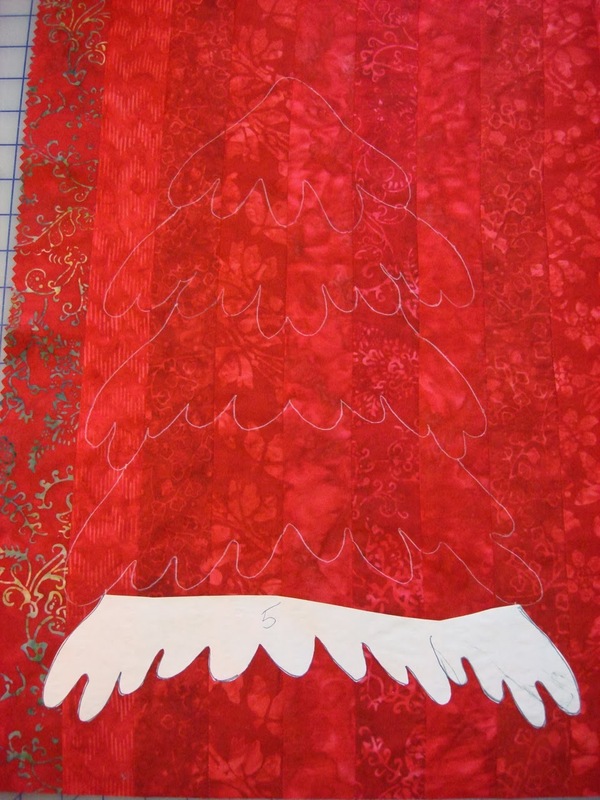 Make it a runner lengthening the background and adding a tree and snowman to each end. 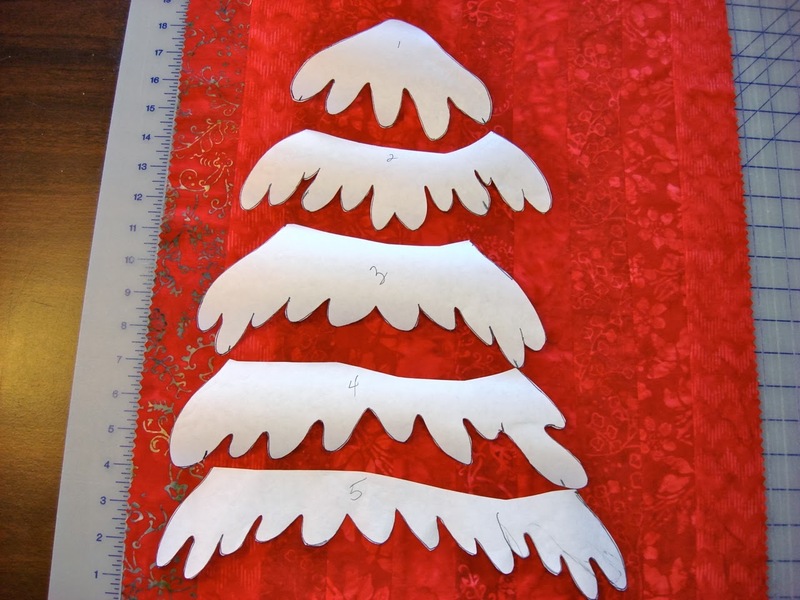 Make the tree an appliqué instead of stitching it out. I hope to try some of those other ideas and will post pictures on my blog. 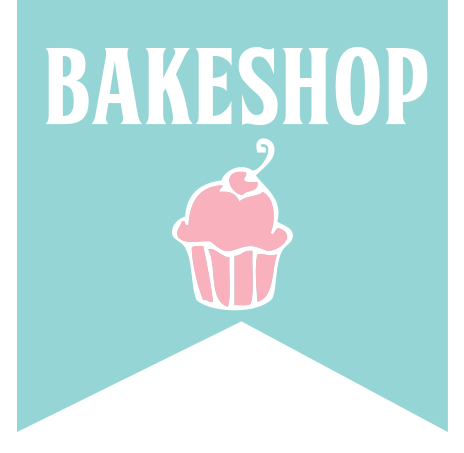 Please stop by and visit.